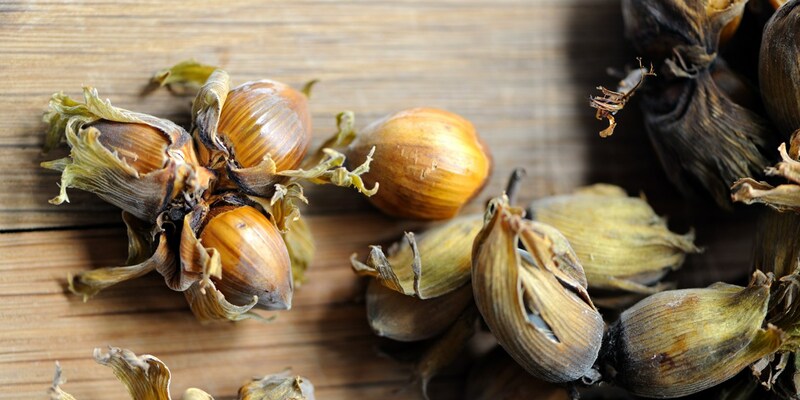 Cobnuts, sometimes mellow and coconut-ty, and others, sweet and nutty, are members of the same family of nuts as hazelnuts and are synonymous with Kent; hence why they are sometimes called Kentish cobnuts. They have become fashionable in recent times as chefs look to champion forgotten British ingredients. This lovely collection of cobnut recipes includes Adam Gray's scallop salad with cobnuts, Alan Murchison's wood pigeon dish and Adam Simmonds' slow-cooked duck egg with cobnuts.